Here you will find all the lectures and events of the exhibitor IMAGO Technologies GmbH, which take place as part of the embedded world program. Please note, that you may have to pay for some lectures. The VisionBox LE MANS combines the benefits of a Linux operating system with long-term availability for series production. The 8-core ARM Cortex-A72 processor allows energy-efficient image processing, while this VisionBox will be equipped with the latest camera and machine interfaces like 10GigE and Camera Link Deca. For multi camera systems, not only several camera ports but also several integrated LED Controllers and digital I/Os allow a compact setup without extra electronics. The integrated Real-Time Communication Controller ensures proper timing between all devices – even with standard Linux. To avoid complex cabling, the cameras can be connected with a single cable - transferring trigger, data and power not only with Camera Link but also with GigE (ToE). Due to its small size, powered by 24VDC and without fan, the LE MANS can be mounted into nearly every machine. The VisionBox AGE-X gives you the choice between GigE Vision, Camera Link and USB3 Vision as your preferred camera interface. For multi-camera systems not only several camera ports but also various integrated LED Controllers and digital I/Os allow a compact setup without additional electronics. 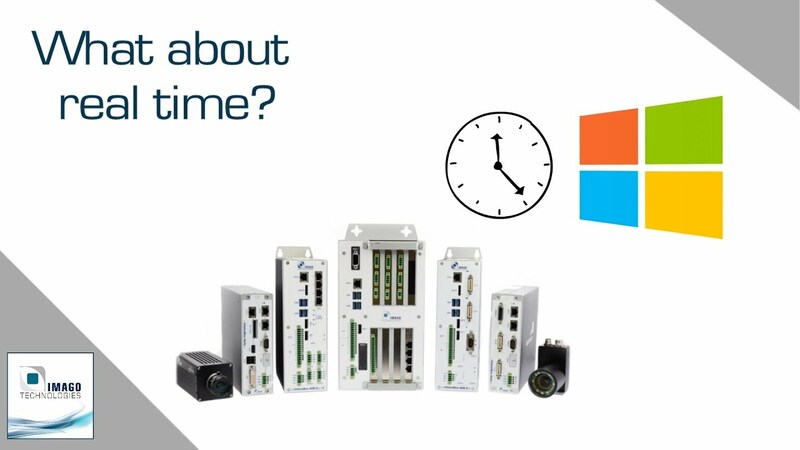 The integrated Real-Time Communication Controller ensures proper timing between all devices - even with Windows Embedded 7. To avoid complex cabling, the cameras can be connected with a single standard cable - transferring trigger, data and power not only with Camera Link but also with GigE. Due to its small size, powered by 24VDC and without fan, the AGE-X can be mounted into nearly every machine, also as IP65-version Turtle. The IP67 camera housing Armadillo with optional LED-illumination connects directly to any AGE-X for optimized protection. All components are available for several years, for continuous delivery without changes. The AGE-X-SDK can be used in C++ and .net as well as with some third-party machine vision libraries for easy integration into your products and projects. The VisionCams XM & LM as intelligent, programmable cameras offer an attractive price-performance ratio: They are equipped with an ARM processor, which can optionally be supported by a DSP with floating point unit. Thanks to the up to four cores Cortex-A15/C66x, a separate computer is usually not necessary, even for complex algorithms. Especially interesting are the up to 8k wide line scan sensors in the LM. The matrix sensors in the XM go up to 5,3 megapixels. Linux is the usual operating system, but SYS/BIOS is also available for hard real time. Different monochrome and color sensors with up to 5,3 megapixels enable the best choice between speed and resolution. Another special feature is the Ethernet-based fieldbus, which optionally completes the communication over digital I/Os, serial interface and Ethernet. The VisionCam LM additionally communicates with encoders over RS-422. Just like in the VisionBox, an integrated LED strobe controller regulates the current for the ring light integrated into the VisionCam XM or the external light heads in both versions. The VisionBox XM combines compact dimensions, high computing power and diverse (OEM-) interfaces to camera & machine. The cameras or vision sensors are connected over an interface which matches the task, f. ex. over LVDS, USB 3.0 or GigE. VISION 1998 – a start-up with then 4 years of experience in image processing introduces a compact computer box with DSP and real-time operating system. Since then, new generations of VisionBoxes have been invented and produced in series..
As of now, IMAGO integrates powerful GPU cards with over 2500 CUDA cores – like the GTX 1018 – into the VisionBox, and this in a compact form factor.